Tired of the same old hummus, but want a healthy snack? 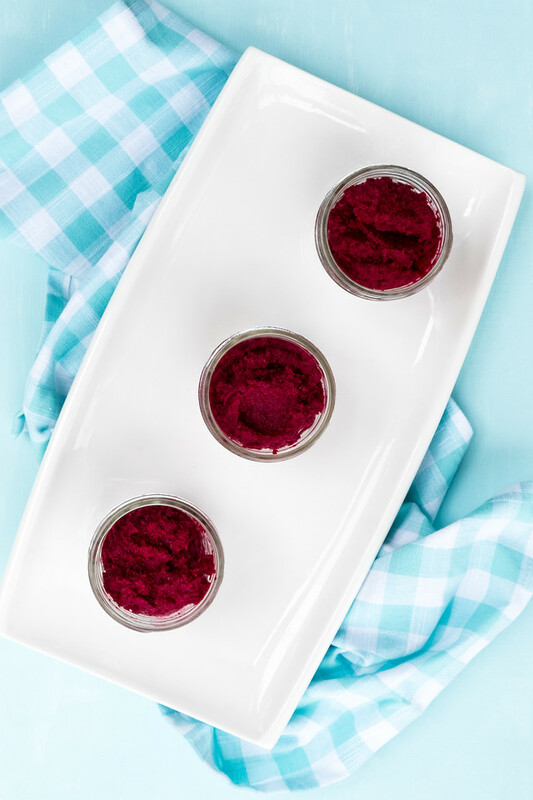 Try this Roasted Beet Hummus – it’s as delicious as it is gorgeous! Plus it’s vegan and paleo! I had some beets languishing in my crisper drawer and I couldn’t decide what to make with them. I could make my Strawberry Beet Smoothie Pops or my Superfood Salad with Beets and Blood Oranges again. They were both delicious and worthy of repeat. Then I remembered that Mr. Sidewalk Shoes and I are trying to eat more veggies at lunch. We seem to manage okay at dinner, but with an almond butter and jelly sandwich, chips, and an apple for lunch, we were falling short of our goal. To help with that I bought some hummus and started prepped some veggies for dipping. That was going well, but we were getting a little bored of the hummus. Then I remembered a recipe for Roasted Beet Hummus that I saw in The Vegetable Butcher. It was so easy! You just roast some beets and then process them in a food processor with some salt, lemon juice, tahini, and olive oil. Now, I know it’s not a true hummus, there is nary a chickpea in site, but it can easily sub for hummus in your favorite way to eat hummus. It also got me thinking of all the variations. You do something similar with carrots, sweet potatoes, or even some of the winter squashes and pumpkins. This was so easy and delicious and you can’t ignore that gorgeous color! 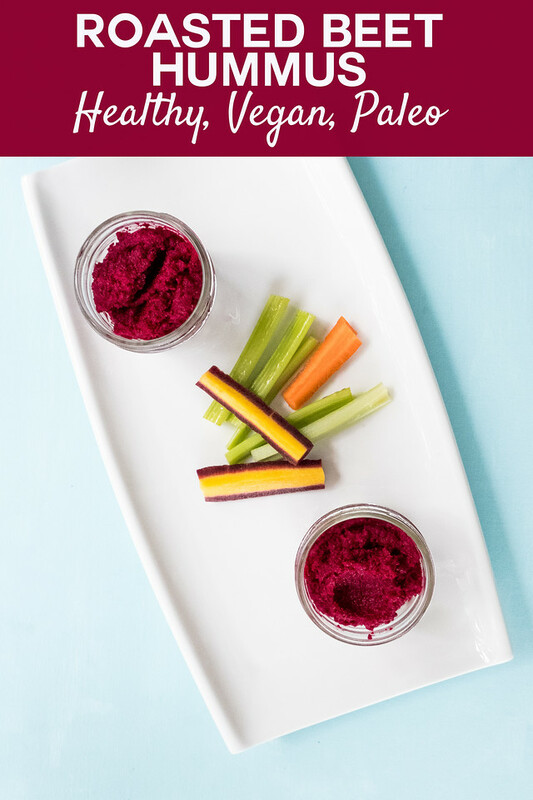 This Roasted Beet Hummus is a gorgeous and delicious take on hummus! Preheat oven to 400. Wrap the beets up in aluminum foil and place on a baking sheet. Bake for 1 hour or until tender. Remove from the oven and let them cool. When they are cool enough to handle, peel them and cut them into quarters. Add the beets, salt, lemon juice, and tahini into a food processor. Process until smooth (you might need to pause to scrape down the sides.) Add the olive oil and process again until combined. Store in an airtight container in the fridge for up to 5 days, or freeze. This looks so good, I can’t wait to try this recipe! Hope you are having a great day and thanks so much for sharing your post with us at Full Plate Thursday! I just pinned your awesome Roasted Beet Hummus, I just love beets! Thanks so much for sharing with us at Full Plate Thursday. Have a great weekend and come back to see us real soon! Stunning colour! I can vouch for pumpkin hummus. Roast the pumpkin first to caramelize the natural sugars. Pumpkin hummus!!! What a great idea!